This fragrance free rich lathering dishliquid has been designed for people with skin sensitivities. 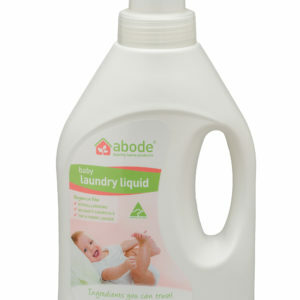 (5 litres = 810 washes). 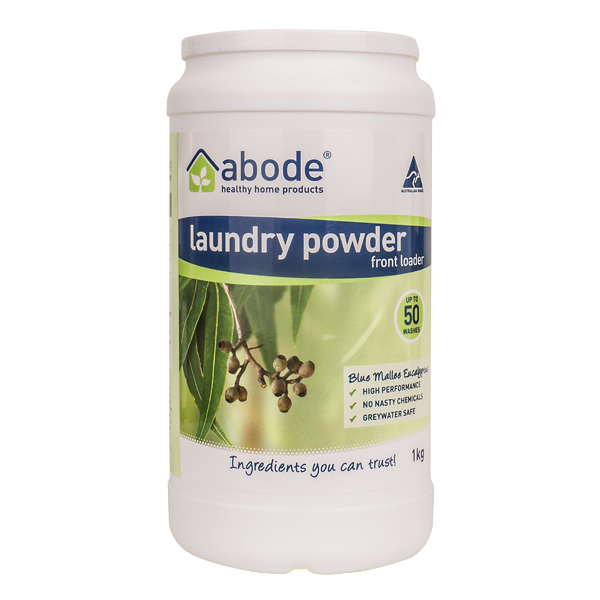 Find out why the Abode Sensitive Cleaning range is dominating the health food market! 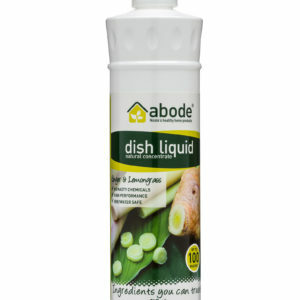 The Abode Sensitive Dishliquid (5 litres = 810 washes) is a fragrance free, creamy lathering product that has been pH adjusted and formulated using plant based ingredients for people with skin sensitivities yet remaining ultra powerful. 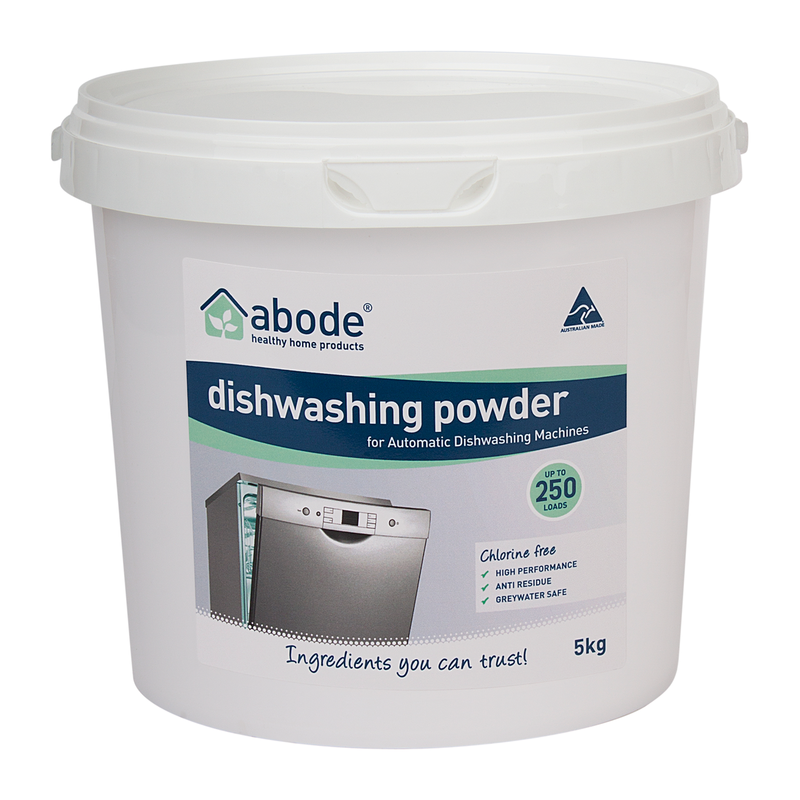 Our unique formulation is free from enzymes, fragrances and nasty chemicals such as cocobetaine, sodium lauryl sulphate and ethoxylated ingredients that was designed to leave your dishes sparkling clean with no chemical residue. 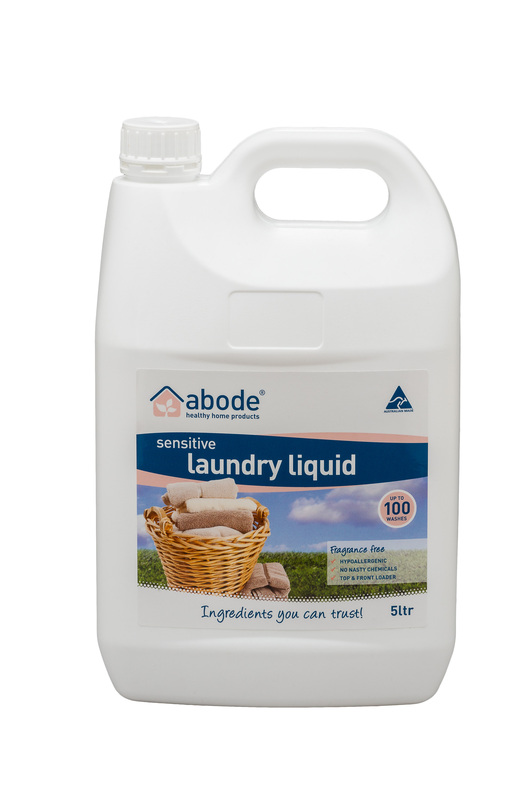 Using the best ingredients money can buy, the concentrated formula makes it remarkably economical when compared to similar brands on the market (100 washes). Ingredients You Can Trust! water, alkylpolyglucosides (derived from coconut, wheat and corn and found in high end personal care products), sodium coco sulphate (derived from coconut oil), sodium cocoyl isethionate (derived from coconut oil), citric acid (food grade), sodium citrate (food grade), glycine extracts (amino acids) and sodium lactate (food grade). Bulk available: 615ml, 5 litres and 20 litres.